Split pea soup is classic comfort food. This version is a basic combination of green split peas, ham, vegetables, and seasonings. 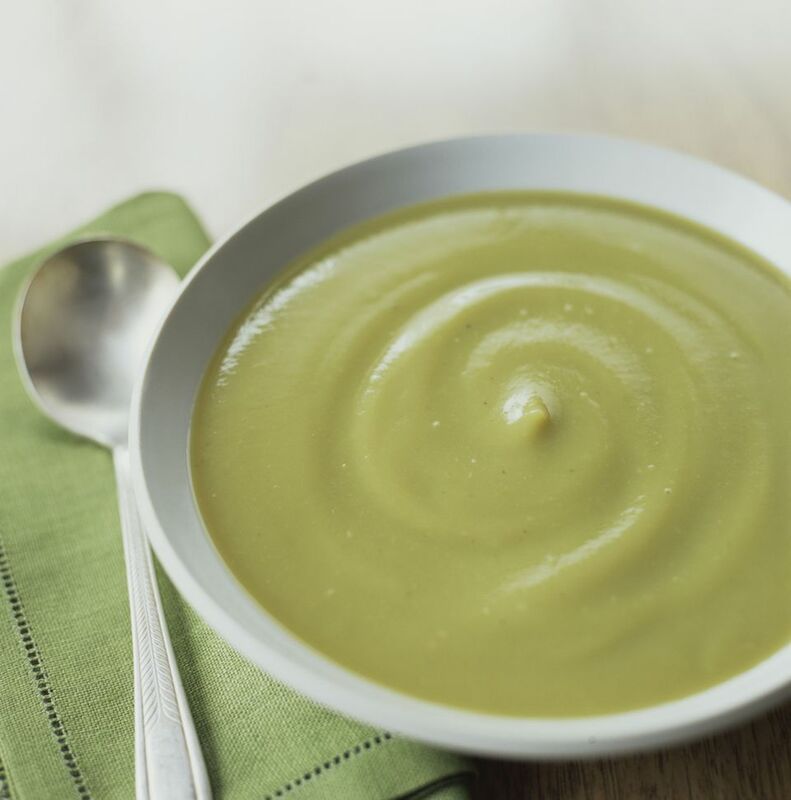 This basic pea soup is cooked on the stovetop, but with just a few alterations, it may be cooked in the slow cooker. If you like a smooth pea soup, reserve the diced ham and blend all or part of the soup in batches* when it's done. Add the ham and heat through. Top this soup off with a little finely chopped ham, crumbled bacon, or crunchy croutons. Note: there are two great methods you can use to create this delicious chicken stew: using the stovetop or the slow cooker. In a large saucepan or Dutch oven, cover dried peas with 2 quarts of water. Bring the peas to a boil; boil gently for 2 minutes. Set aside to soak for 1 hour. Add ham bone to the peas, along with chopped onion, bay leaf, garlic powder, marjoram, thyme, and pepper, and bring the soup to a boil. Cover, reduce heat, and simmer for 2 hours, stirring occasionally. Remove meat from the ham bone. If desired, put a little finely chopped ham aside for garnish. Dice the meat and return to pea soup with chopped celery and carrot. Simmer the pea soup gently for 45 minutes, stirring occasionally. Taste and add salt, as needed. Remove the bay leaf. If desired, top servings with reserved finely chopped ham or crumbled cooked bacon. When using this method, you can omit the soaking time. Instead, rinse the split peas and reduce the liquid (water or broth) to 1 quart. Combine the ingredients (except salt and garnish) in the slow cooker. Cover and cook on low for 6 to 8 hours, or until the peas are tender. Or cook on high for about 4 to 5 hours. If cooking on high, it might be necessary to add more liquid. Remove the meat from the ham bone and chop. Return the chopped meat to the soup. Taste and season with salt, as needed. Garnish servings with some reserved diced ham or cooked crumbled bacon.